The Sandalei Women’s Sandals feature a custom printed rubber sponge footbed and a comfortable, flexible toe strap. Custom print the footbed with your photos, art, and text. Choose from black or white toe strap colors and black or white footbed colors. Women’s sizes 4 to 11.5 (US). 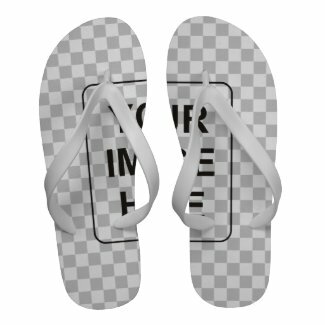 This entry was posted in Clean templates, Clothing, Women and tagged clean, flip flops, gift, sandals, template, your image here, your text here by beeter. Bookmark the permalink.